The Sony Xperia P is the phone made for those that love high definition moments and pure entertainment on one sleek handset whilst sticking within a mid-range budget. The features of the Sony Xperia P are powered by a 1Ghz dual core processor which means everything is relatively fast, even with lots of apps and downloads open. There is 16Gb of memory built in to the Xperia P but it is important to note that there is no external storage options for the handset, this tends to be more than enough for the regular user! An important feature for many is the camera and the Sony Xperia P will not disappoint with 8 megapixels, HD recordings and a super-fast 1 second between shots the Xperia P really is a great phone for recording those special or one off moments whilst ‘on the go’. As previously mentioned entertainment is one of the main features on the Xperia P and you will find it effortless to watch your HD videos onto your television through a simply HDMI cable and the TV launcher on the phone. You will find Google Android Ice Cream Sandwich 2.3 operating your Xperia P handset however it is ready to upgrade to 4.0 so you still get to take advantage of all the latest updates to features from Google such as the Play marketplace, Google Book, Maps, Mail and many more! The applications available will really take your phone and make it into your personal assistant with all of your particular needs catered for in a selection of free and premium apps. In addition to the applications available on the Google Play marketplace the Xperia P already comes with several, exclusive applications already installed such as Video Unlimited and Music Unlimited. These Sony apps give you access to the Sony Entertainment Network and is ideal for those wanting a little bit extra from their phones in the form of entertainment through movies, television and music without signing up for third party services. In order to ensure you are carrying around one of the best looking phones on the market Sony go all out on the body of this masterpiece. The most attractive part of the Xperia P in black is easily the shiny aluminium casing which really does make it stand out from the plain white and black plastic phones. On the front of the handset you will be pleased to know that the screen is made from a scratch resistant glass so there is no need for any excess screen protectors and of course your mobile will always stay in a great condition. PhoneShop.co.uk brings you the best mobile phone deals so if you are looking for the best pay monthly or pay as you go deal for the Sony Xperia P in black you can compare what is available on the market above. Do you remember the RAZR line of phones that first came out nearly ten years ago? Just about everyone had one of them at some stage over the last decade or so. Back then the Motorola RAZR brand was so popular with a lot of people since it was one of the thinnest phones on the market and it was built with aluminium. Believe it or not, Motorola actually sold over 50 million RAZR phones which is an amazing statistic. However, after people realised that Motorola were just trying to get as much money as possible out of the RAZR brand, things started to go downhill quickly for them. 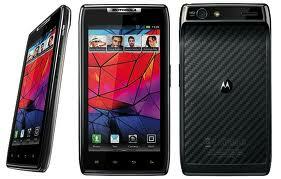 So, was it a good move for Motorola to come back with the Motorola Droid RAZR? Below we will see what this phone offers. 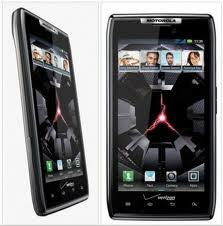 Compare contract deals for the Motorola Droid RAZR right here at PhoneShop.co.uk – we compare all UK networks to find you the best deal. Once upon a time Motorola made one of the thinnest phones in the world, and they’ve done it again with the Motorola Droid RAZR. It’s just a bit over 7mm, which is extremely thin. Some of the phone is a lot thicker than the rest of it though, with the camera part of the phone being over 10mm thick. It’s good to see a phone that looks a little bit different since a lot of people are sick of seeing companies trying to copy the look of the iPhone. At least Motorola have opted to take a bit of a risk with this device, and in our opinion it really paid off. 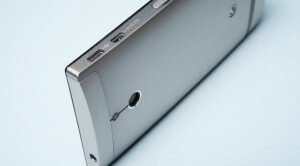 There’s even a HDMI port which is pretty impressive, we haven’t seen one of those in a long time on a smartphone! The phone has 8GB built in storage, but this isn’t all you’ll get with the phone. You’ll also get a memory card that’s 16GB which means that you’ve got 24GB for all of your apps and other things which should be plenty for most people. The body of the Motorola Droid RAZR is also a little bit different compared to most smartphones. It’s made of aluminium, gorilla glass and Kevlar. The whole feel of the phone is brilliant; it just feels so much better than most other phones that feel like they’ve been made with the cheapest parts that the manufacturer could find. Just because the materials that were used to make this phone are really light doesn’t mean that they can still give the phone a lot of protection, we’re quite sure that this phone could put up with a few drops to the ground here and there without getting too badly damaged, although we don’t recommend that you test us on that one. No review would be complete without mentioning the battery life and processor of the phone. Firstly, the Motorola Droid RAZR has a very decent processor which is a 1.2GHz dual core processor (similar to the Samsung Galaxy S2). Even if you use your smartphone to play some apps that have really good graphics the Motorola Droid RAZR should be able to handle it without any issues. The battery life of the Motorola Droid RAZR is also quite good, offering over 12 hours of talk time or over a week on standby. It’s always a good idea to remember that if you’ll be using any smartphone like this to play games, browse the web and so on you’ll more than likely have to charge it on a daily basis no matter how good the battery life seems to be. So, is the Motorola Droid RAZR worthy of being compared to top smartphones like the Galaxy S2 and the iPhone 4S? Well, in PhoneShop.co.uk’s opinion it certainly is! It’s good to see that Motorola haven’t let their loyal customers down like they did in the past with the RAZR brand, so maybe we should give them a second chance. The bottom line is; if you want a thin phone with a big screen and the best build quality on the market, the Motorola Droid RAZR is definitely a phone that you should consider buying. Check out our deal comparison here to find yourself the best contract deal for a new RAZR today! 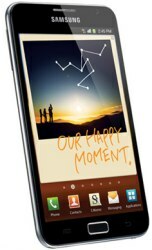 The Samsung Galaxy Note really is different, but not necessarily in a bad way (for some people that is!). We’ve all heard of 3.5” smartphones, but have you ever heard about a 5.3” smartphone? No, we didn’t make a typing mistake there! The Samsung Galaxy Note actually has a 5.3” screen, and not just any screen either. It has a HD Super AMOLED screen, easily one of the best screens that have ever been used for any smartphone so far. Some people would rather call it a tablet since it’s so big, but we’ll call it a smartphone for now! Skip the review? just want the best UK deals for a Samsung Galaxy Note? Please click here for Samsung Galaxy Note Contract Comparison. Obviously the first thing that most people will notice on this phone is that the screen is massive in comparison to all other mobile phones, but you’ll also notice that it’s very, very fast! It has a 1.4GHz dual core processor which we’ve never come across in any smartphone in a long time as well as having a huge 1GB of RAM. Some people have netbooks or even laptops that don’t have this much RAM! It really makes you realise how quickly smartphones are improving, soon it could be the norm to have a smartphone with a couple of gigabytes RAM! We think that it’d be nearly impossible to make the Samsung Galaxy Note freeze due to using too many applications and so on which is a huge bonus if you don’t want to be worrying about closing apps every so often. What’s even more impressive about the Galaxy Note is just because it’s a really big phone compared to others, has a great processor and has a huge amount of RAM it’s still one of the thinnest smartphones available. It’s not even 10mm thick, although it’s a bit on the heavy side at around 180g but what can you expect with a 5.3” screen? The Samsung Galaxy Note comes with 16GB inbuilt storage which would be more than enough for the majority of people but if you think that 16GB wouldn’t be enough you have the choice to buy a Micro SD card which can be up to 32GB. Even though the camera is capable of taking 8MP pictures and recording HD videos at 30 frames per second you could still fit a decent amount of photos and videos on your Samsung Galaxy Note without leaving yourself with not enough space for all of your favourite songs and so on. At the moment the Samsung Galaxy Note is running from Android’s Gingerbread operating system but this will soon be upgraded at some point in this year when Ice Cream Sandwich comes out which is expected to be available to the public within the first three months of 2012. Just like any other Android smartphone, you’ve got a huge selection of apps from the Android market as well as some apps that have never been seen before on any other Android mobile phone! The stylus (or the S pen as it’s called) might come in handy for some of the apps so make sure you’ve always got it with you, which is easy since it fits in to the phone. Overall we think that the Samsung Galaxy Note is one of the best smartphones that is out right now but it’ll obviously not appeal to some people since the screen is bigger than most (or all) other phones. If you’ve got a tablet and a smartphone maybe you should consider getting the Galaxy note since it seems as if this is a mix between the two? Although some people think that you couldn’t use this as just a smartphone since it takes up too much room for your pocket and so on, we disagree. Some people would love the bigger touchscreen for their own reasons, whether you like playing games all the time, find other smartphones too hard to read text messages from and so on. We think that Samsung has done a great job once again on the Samsung Galaxy Note. The BlackBerry 9790 looks very similar to a lot of other BlackBerrys. It’s more or less a cheaper model of the BlackBerry Bold 9900. With BlackBerry mobile phones you’ll either love them or hate them, probably depending on whether you prefer QWERTY keyboards over touchscreens. BlackBerry are one of the few companies that still haven’t moved on to touchscreens like other mobile phone companies which could be a dangerous move on their behalf, but what do we think of one of their latest models to come to Europe, the BlackBerry 9790. To get an idea of monthly contract prices – please see our BlackBerry Bold 9790 deals page – some great offers available on a massive choice of tarrifs. One noticeable difference between the BlackBerry Bold 9790 and previous BlackBerrys is that the 9790 has a smaller keyboard than usual. Some people might assume that this means that it’s much more difficult to use if you’re always texting and so on, but we actually found it easy enough to text on. It’s hard to find a phone with a QWERTY keyboard which is easy to text on without being the phone being too big to carry around with you at all times, but the BlackBerry 9790 could be the right phone if this is what you’re looking for. The overall build quality is decent for the price tag that’s on the BlackBerry 9790, for the price that most places are charging we can’t complain too much about the materials used to build this phone. However, we just wish that BlackBerry invested a little bit more money on the screen of the 9790. It looks as if the screen can get scratched easily and if you want to keep the same phone for a year or more you’d more than likely have a screen covered in scratches if you buy the BlackBerry 9790. We think that most people would be more than happy to pay a little bit extra so that the screen of the phone wouldn’t get scratched as easily as it does at the moment, but obviously BlackBerry doesn’t agree with us! Although the BlackBerry 9790 is a cheaper version of the 9900 and therefore you’d have to assume that build quality wouldn’t be as good, we’d still like if the build quality was a bit better to be honest. One thing that has been improved on the BlackBerry 9790 compared to the 9900 is the camera. It comes with a 5MP camera that has auto-focus. You might be thinking to yourself that this isn’t anything special for most smartphones but the BlackBerry 9900 didn’t have an auto-focus option which many people found strange. BlackBerrys excuse for not adding auto-focus to their other phones was that it forced them to make their phones thicker, which wasn’t what most people wanted. This basically meant that if you used your phone for taking pictures a lot you could forget about even considering a BlackBerry which was a real shame. However, now they’ve finally realised that simple little things like auto-focus are important features to people since BlackBerry added it to the 9790 and we’re pleased to say it takes some decent photographs. The operating system on the BlackBerry 9790 is called OS 7 which just came out around 6 months ago. As usual, the OS is really geared towards people who mainly send text messages and emails on a regular basis. There’s a bar at the top of the screen to allow you to quickly go to an unread message and so on which is a nice touch, although it’s not unique to OS 7 since companies like Apple have started using a similar navigation bar. There are also apps that you can download but sadly since most app developers are staying where the money is (Android and iOS) there isn’t anywhere near as much choice as you’d like. There’s also something called BBM music while is a subscription service but it hasn’t been that popular with a lot of people. As you can see, if you using your phone for just text messaging and emailing then this might be the perfect phone for you, if you’re more interested in more recent mobile phone uses like applications and music we’d recommend that you wait until BlackBerry catch up with the mobile phone market before getting another BlackBerry. Blackberry are navigating new waters with the long-awaited Bold Touch 9900. In the past, Blackberry have been notable for their big and easy to use QWERTY keyboard with real buttons, the perfect antidote to the swish but battery draining touchscreens of other smartphones. Yet Blackberry traditionalists had better brace themselves, because after years in the production pipelines, the 9900 offers quite a departure from the 9780. The Torch 9800/9810 are the only other handsets from BlackBerry to utilise a touch and QWERTY combo. Whilst the Torch uses a slider mechanism to maximise screen space, the Bold 9900 keeps to the form most existing customers of the brand will be used to. Blackberry have compensated for a larger fascia by making this their slimmest phone yet at just 10.5mm thick, giving it a remarkably sleek appearance for a relatively large phone. Aside from some small tweaks, everything looks much the same. The inclusion of brushed metal in the case gives the 9900 a more professional and polished appearance than previous models, but the layout itself isn’t that different. That comfortingly large keyboard remains, and in fact, has grown even bigger. The difference isn’t huge, but an extra 6mm of width is enough to give the clumsier among us a far easier user experience. This is all the more impressive considering the 9900’s vastly increased processing power- 1.2GHz worth, enabling you to zip around the phone’s many features and apps like roadrunner being chased by the coyote. 8GB of inbuilt memory, and the facility to add up to 32GB more, will be enough to satisfy the needs of all but the most insane media heads. There’s even HD video which records footage of a decent quality, although the rather grainy 5 megapixel camera still leaves a lot to be desired. But none of this explains what’s so very different about this phone compared with the models that have gone before it. You’ll have to look to the screen to find it, because, in addition to its classic QWERTY, the new Bold is equipped with touchscreen technology too, making it truly the show-off in the class. Now you can fly between apps using the touchscreen and still have the luxury and speed of the physical keyboard when texting or browsing. It’s a feature which works well and will feel pleasing to use, but the screen itself is nothing to write home about in terms of sharpness and graphics. It also remains far smaller than most other comparable smartphones, so while you can control it with your fingers, in practise this might prove more difficult than just using the joystick (which is presumably why it remains included in the design). However, those who value screen size and resolution highly are unlikely to consider Blackberry in the first place, usually plumping for the iPhone or an Android. Yet for dyed in the wool Blackberry fans, this represents a substantial improvement, consolidating the best of Blackberry with swishier features from other smartphones. The substantial trade-off is a deteriorated battery life. While in the past Blackberry owners could laugh at the fancy kids lugging their charger around with their phone, now the 9900 puts them among their ranks. Touchscreens and vast, man-eating processors all require a lot of power, so those who take the plunge on this phone will have to charge it every day. Perhaps this is a fair trade for greatly increased functionality, but one might wonder why it’s necessary, when Motorola’s new Atrix has managed to combine touchscreen technology with decent battery life. Only time will tell how well this unwanted development goes down with customers. Blackberry have also spruced up their software offering, with their new version operating system, OS7, performing better than its predecessors. The combination of a more responsive browser and the fluidity of touchscreen will give users a better experience than ever before. Improved integration with Blackberry Maps should hopefully resolve the bugs and performance issues of previous versions. Additionally, NFC (Near Field Communications) technology will enable you to pay for travel and redeem coupons simply by swiping your phone, although outside major cities the opportunities for using this are rarer. A more useful aspect of the phone is its best ever Wi-Fi technology, enabling you to access hotspots with greater ease and speed. 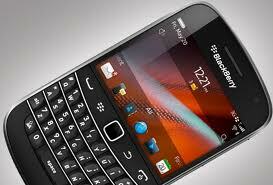 Whether this phone will attract new customers to Blackberry remains to be seen. The QWERTY is a huge draw for frequent texters who are frustrated by their fiddly touchscreen, but the 9900’s screen lacks the glitziness of many other phones out there. Blackberry Bold 9900 contract deals are priced similarly to the those of the latest Android powered super-smart phones like the Samsung Galaxy S 2 and HTC Sensation XE making price an unlikely consideration in the decision making process. How Blackberry traditionalists will feel about it is more difficult to predict. The improved keyboard quite literally plays into their hands, but the power draining new features remove one of Blackberry’s key advantages. Blackberries have created some compelling new developments, but need to be careful that in the midst of all this innovation, they aren’t alienating their core customer base. We predict most who buy or upgrade to the 9900 will be existing customers of the BB brand, not wanting to lose access to their beloved BB messenger by switching OS.